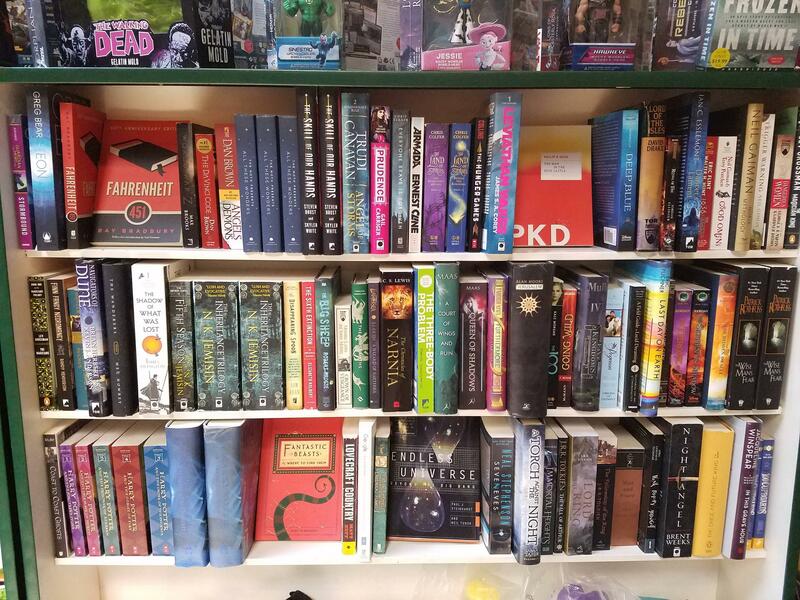 Our Growing Collection of Sci-Fi and Fantasy Novels! Posted: Wed May 24, 2017 4:05 am Post subject: Our Growing Collection of Sci-Fi and Fantasy Novels! It's no secret that here at Merlyn's we love all things science-fiction and fantasy. Much of our store has always been dedicated to games and comics of these fantastic genres. And now, thanks to the help of Auntie's Bookstore, we've been able to greatly expand our collection of sci-fi and fantasy novels as well, including a wide variety of both legendary classics like Fahrenheit 451, Foundation, and Redwall, and modern favorites like Fantastic Beasts and Where to Find Them, Leviathan Wakes, and Armada. 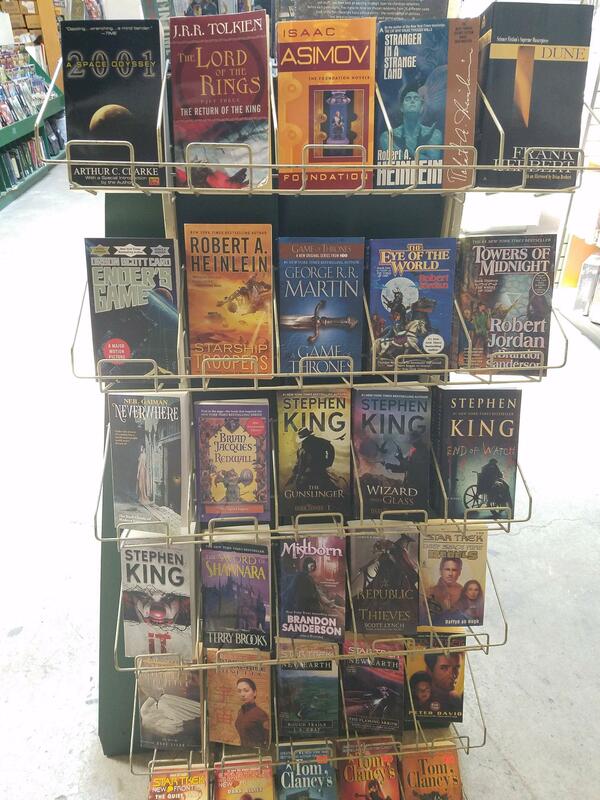 Stop by Merlyn's soon to check out our growing selection of awesome novels and share in our love of fantasy and science-fiction!